The White House has decided it is more important to score political points than take national security concerns seriously. It can’t be easy to be Christopher Wray — the FBI Director hand-picked by President Donald Trump after Trump ingloriously and controversially fired then-FBI Director James Comey last May has had to navigate incredibly stormy seas. 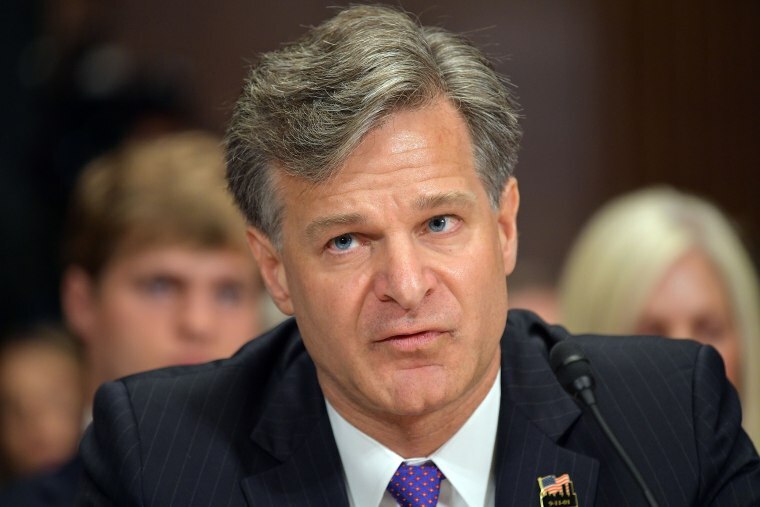 From his confirmation hearing through today, Wray’s agency has repeatedly come under sustained attack, not just from Republicans in Congress, but from the very president who appointed him — all for allegedly acting inappropriately in investigating the Trump campaign’s contacts with Russia in the run up to the 2016 election. Those attacks may have reached their apex (or nadir) with the release today of the so-called “Nunes Memo,” written by the office of Rep. Devin Nunes, which purports to summarize abuses perpetrated by the FBI during its investigation. The memo's release occurred without any of the underlying materials on which it is based (or the competing analysis of those materials authored by Democrats on the House Intelligence Committee). It was also released over the strenuous objections of Wray and the Justice Department — who warned that it would be “extraordinarily reckless” to publicly disseminate the information without first giving the DOJ and the FBI a chance to review (and, presumably, redact) it. The whole memo debacle is a damning indictment of this administration’s relationship with the nation’s primary law enforcement agency. It suggests, rather starkly, that the House Intelligence Committee and the White House both decided that it is more important to score partisan political points than to take seriously the substantive concerns — or the long-term reputation — of the FBI. If the politics of the moment are more important to this president and this Congress than the integrity of the bureau, there’s only one appropriate response: Director Wray should resign in protest. I don’t suggest this lightly; Chris Wray is exactly the kind of person who should be leading the FBI at this tumultuous point in our history. This is underscored by the very fact that got us here — that he stood up to both the White House and Nunes over the release of the memo. Principled public servants like Wray are canaries in the coal mine that is the Trump administration; without them, the public might have far less of an understanding of some of the novel claims being made by the current president — or the institutional damage that his administration seems intent on wreaking. This is also why, for example, I don’t think that the default response to senior administration officials coming under attack should be resignation; we’re all better off for having Rod Rosenstein as the Deputy Attorney General, even though he has been the subject of comparable attacks (and may well be the true target of Nunes). But Wray’s case is different. It’s not just that the release of the memo is a personal slight against him; it’s part of a broader, systematic campaign against the credibility and integrity of the very agency that he runs. And importantly, this agency’s credibility and integrity are cornerstones of our legal system. Wray shouldn’t resign because he himself has been slighted, or because he has been ordered to do something he believes to be unlawful or immoral; he should resign because of the institutional affront that the release of the memo reflects — a partisan political assault on the apolitical work in which tens of thousands of men and women are engaged on a daily basis. Adding insult to injury, these men and women under his leadership are generally not in a position to speak out for themselves. Principled public servants like Wray are canaries in the coal mine that is the Trump administration. Simply put, when the president chooses, for partisan political reasons, to override the recommendation of his own FBI director and pursue a course of action that could damage our national security (to say nothing of the FBI’s reputation), resignation is the most ethically appropriate and politically impactful means of registering protest, rather than acquiescing. Critics of this suggestion will surely argue that, if Wray’s independence is so important, why risk allowing the president to replace him with someone less willing to stand up to his boss? But a full-time FBI director requires Senate confirmation. Especially in the aftermath of a very public resignation on principle, I have faith that even this Senate would insist on comparable independence from Wray’s successor. Indeed, that institutional dynamic goes a long way toward explaining why it was Wray who was selected to succeed Comey in the first place. According to reporting by NBC News, Wray had already indicated, before the release of the memo, that he has no intention of surrendering his post. That’s an understandable position for Wray to take — and a deeply honorable one. It’s also a position that he should reconsider.